If millennials are tech-savvy, Generation Z is tech native! Generation Z is the first group of Indian society who will be raised entirely on technology. 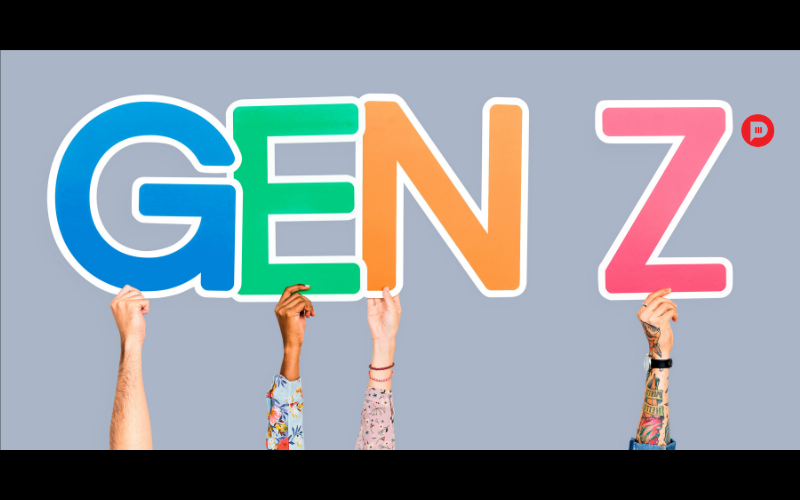 Gen Z – those born after the 1995’s, are digital natives, tech-savvy, creative, innovative and entrepreneurial. They are multitaskers, self-reliant, resourceful and pragmatic. They bring new skills, high expectations and desires to shake things up. They usually strive to own their own businesses. Unfortunately, marketing to this younger generation isn’t easy. Gen Z is significantly more particular in the selection of their brands. They are more selective in what they share. For them, selectiveness and glory are more cautious and individual. Loyalty programs and coupons, which influence the purchase decision of the majority of the millennials, have little effect on Gen Z. But if you can hold a youthful consumer, chances are you can integrate your brand into their identity and establish a long term relationship. Which may turn them into being your brand advocates or brand evangelists. And members of this generation defines themselves by tastes in everything from clothes to music to food, unlike any other generations. To understand what motivates Gen Z to buy one thing from the other, you need to look beyond the demographics and dive into their values, opinions, interests, attitudes, and lifestyle. It has to be customized or personalized to all about them. Another differentiator of Gen Z is its desire to always be online. They nearly spend 6 hours a day on online activities. They tend to go on different platforms for very different purposes and needs and your content shouldn’t be saying the same thing on every platform be it Twitter, Instagram, Facebook or Snapchat. Gen Z has grown up learning how to apply make-up from YouTube videos, ultimately creating a marketing and communication platform of their own. Consider the following strategies, to connect with Gen Z consumers and integrate your brand into their identity. When you tie a brand to concerts, Block Parties, Event Launch or some sporting events, you deviate consumers attention to your product, creating a connection that compels them to buy your product. And if given time, these connections can turn into loyalty and they becoming your brands’ advocates. You can also bind to immersive experiences that attract Gen Z subcultures. Consider the trends that easily connect with your brand and then brainstorm interactive opportunities that both promote your product and get members of Gen Z buzzing onto your brand. Consumers are bombarded with so much advertising these days from every source of media that it has become much easier to ignore. To be successful, you need to think about advertising in a context to the consumer and find the white space where you can entertain and capture the attention of your audience. You need to be much more creative when trying to reach younger audiences. Follow a plan by making a list of white spaces in your community. Marketing opportunities are often hidden in plain sight. Engaging in conversations with consumers can be difficult and uncomfortable. However, if you want to implant your brand into Gen Z’s culture, you must be willing to learn from them. It resonates in an authentic way when it is from them. Start to know your audience by walking through allowing people to explain why they think the way they do. Having multiple perspective and interpretations can help you become more open and understanding of the diversity within your target audience. The more you’re able to understand the nuances of Gen Z, the easier it will become to tailor your message either to the audience or the channel. Adapt your creatives, make it more personalized and really tap into what drives these audiences to buy. Previous ArticleAmazon’s Advertising Strategy: A Learning You Shouldn’t Miss! Next Article Advertising Options on YouTube You Should Know!